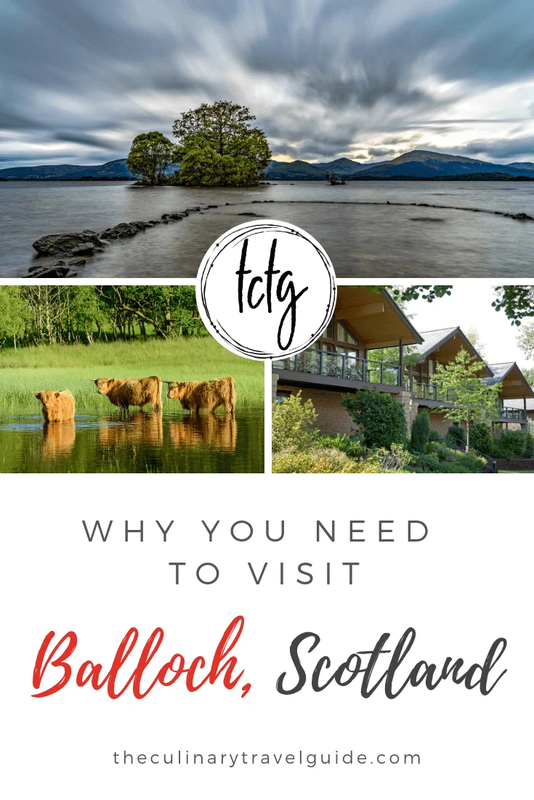 Just 25 miles from Glasgow, the little village of Balloch is one of the best places to visit in Scotland! Situated at the southern tip of the famously bonny Loch Lomond, the small town lies in a lovely pastoral region where fat ponies graze behind crumbling stone walls and mists hang low in the sky, obscuring the mighty Ben Lomond in the distance. The area is vibrantly green and eternally damp, and lies within the boundaries of the Trossachs National Park (a.k.a. Rob Roy country). During your stay in Balloch, you can do as much or as little as you like, but no matter what you decide, you’ll find it’s almost impossible not to relax and recharge in such a charming country location. Popular with the locals, The Stables is the place for authentic Scottish food. Start with the ‘Taste of Scotland’ sharing platter with haggis croquettes, oak smoked salmon, Cullen skink, chicken liver & whiskey paté, and oatcakes then treat yourself to a bowl of fresh Scottish mussels. 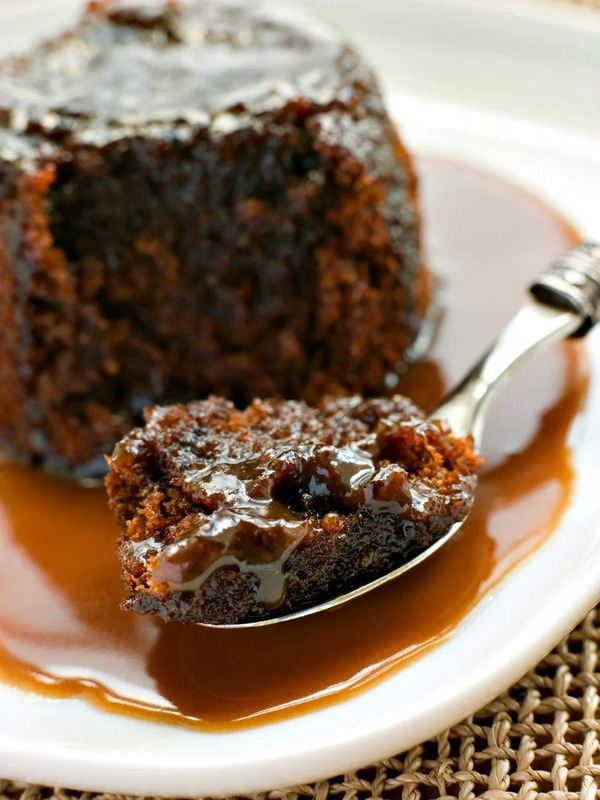 The sticky toffee pudding with custard is the perfect way to end your feast. Stay at one of Cameron House’s luxury self-catering lodges on the banks of Loch Lomond. Cameron House Loch Lomond offers a variety of detached, semi-detached and terraced luxury lodges. From one bedroom bungalows, perfect for single or couples, to larger four bedroom lodges which accommodate up to 8 people, there is a lodge type to suit every group size. Not surprisingly, many of the activities in Balloch are centered on the loch. Pleasure cruises offer daily sightseeing tours of Great Britain’s largest freshwater lake. Relax aboard the Queen of the Lochs and take in spectacular views of the magnificent Ben Lomond and the Highland boundary fault line. If fishing is your thing, you’ll find plenty of private charters that provide exceptional angling opportunities. Water sports are also available including sailing, kayaking, canoeing, windsurfing, and water skiing. Canoes, pedal boats, and bikes can be rented at Loch Lomond Shores. Golf, horseback riding, hiking, archery, and hawking are also options. And if you time it right, you can take in the Loch Lomond Highland Games, one of the top three Highland Games events in the country attracting as many as 15,000 visitors each year. Getting to Balloch couldn’t be easier! Trains between Glasgow and Balloch run frequently and cost about $12 each way. Or, if you prefer, you can rent a car, or go for the splurge and take a private taxi for about $60. If relaxing at a world-class spa is your idea of heaven, you won’t be disappointed with The Spa at Cameron House, Loch Lomond’s best hotel spa for two years in a row. With 17 wet and dry treatment rooms, a breathtaking rooftop terrace with an infinity pool, an assortment of thermal experiences and an aromatherapy steam room this is truly an unforgettable destination spa. Walking trails hug the shores of Loch Lomond, as does the lush 200-acre woodland known as Balloch Country Park. In addition to its beautiful parkland, ornamental gardens, and pathways, Balloch Country Park is the home of the historic and derelict Balloch Castle. If the weather is fine, pack a lunch. Balloch Country Park might just be the prettiest picnic spot on the planet! For those who appreciate a good scotch, The Famous Grouse Experience at The Glenturret Distillery is just 50 miles away in Crieff. History buffs (and Braveheart fans) may enjoy a visit to Stirling Castle and the nearby William Wallace monument, only 30 miles from Balloch. 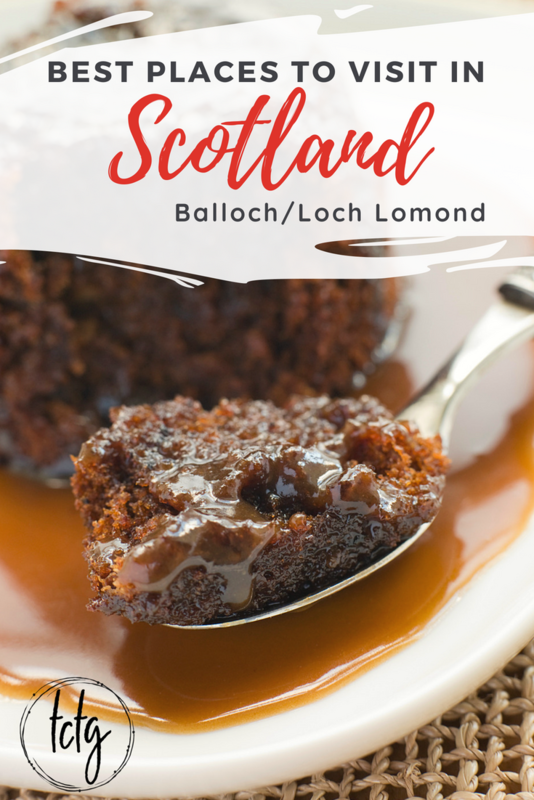 Delicious Scottish cuisine, luxury accommodations and amenities, and a plethora of things to do earn Balloch a well-deserved spot on our list of the best places to visit in Scotland. Sign up for the TCTG newsletter and get our best travel tips and inspiration direct to your inbox. Almost There! Check Your Inbox and Confirm Your Subscription.